In the Canada and the United Sates when winter season arrives, millions of beautiful black and orange monarch butterflies commence an amazing migration, which sees them flapping south 2000 Km to the center of Mexico. Many monarch butterflies travel into the Mexico from Texas and also follow the Sierra Madre Oriental. 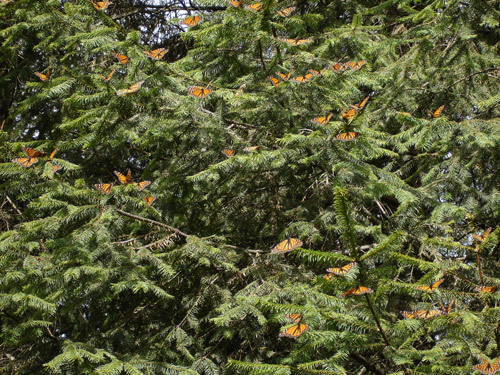 These butterflies cluster into Pine and Oyamel trees. 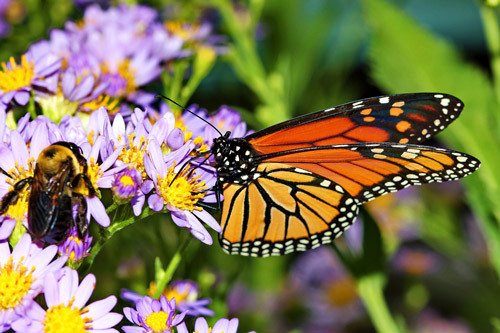 The migrating monarch butterflies start their flight in the early part of October. They arrive in the Central Mexican Mountains by November (mid and late). These butterflies start their return towards the North, to the Canada and the US in mid march. No one monarch butterfly ever makes the entire circular because adult butterflies have a lifespan of only a month or so. Therefore, it is not possible for them to make the migration from Northern America up to Mexico and then back again. To achieve the north part of the migration process From Mexico to the border of the US and Canada, the butterflies make use of three generations. The 4th generation is the super generation because it has a life span that is about 10 times that of a normal one. In the autumn season, these butterflies, leave the lakes area and migrate southwards towards Mexico. Although, monarch butterflies are not yet declared as threatened species, the prospects of future migration are unsure. Recent year figures indicate that the numbers of monarch butterflies arriving in the Mexico have been far lower. 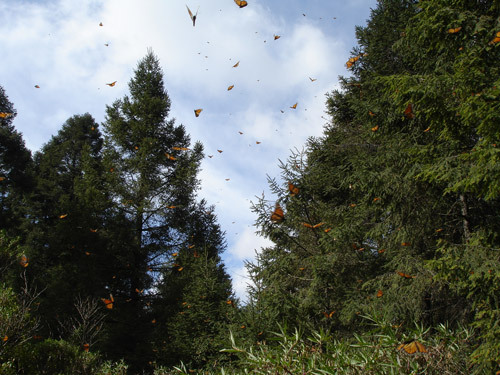 The monarch butterfly biosphere reserve is located in the central Mexican Mountains. This biosphere reserve’s establishment was to protect the forests and butterflies that overwinter there. The tourists can visit 3 reserve areas that are open and they are: El Rosario in Ocampo that is most popular, and is the one which suffered much damage from the human interference. It receives visitors from November to March. And it also offers guided tours. Sierra Chincua in Angangues is easy to visit and the most perfect among the three is Cerro Pelon. These reserves are visited by many Mexican and international tourists, mainly from the Canada, United States, Germany, Japan, France and Spain. In the month of February, Angangues celebrated a festival called Monarch butterfly festival. In the year 1922, this festival was begun to promote awareness of the habitat of butterflies and the arts and culture of the area, and also to take benefit of the Ecotourism. This festival also includes events which are related to music, food, exhibition of crafts, arts and dance. 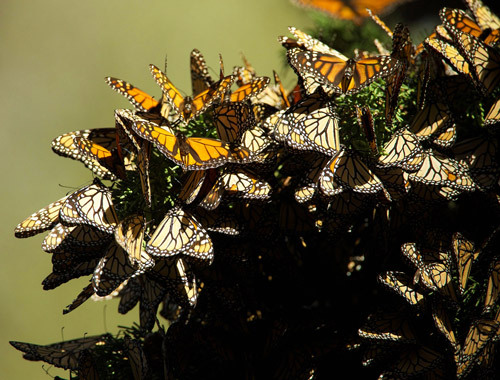 Monarch Butterflies cluster collectively in the warmth on cold evenings and the mornings. But, with the warming sunlight filtering through, the monarch butterflies take flight in huge numbers. One of the unsolved reasons for migration pertains to why, every year, the monarch butterflies decide to overwinter at the same time.